I have written about his time here, but until Labor Day weekend I had not seen photographs of the cottage he rented behind 1624 Milvia. 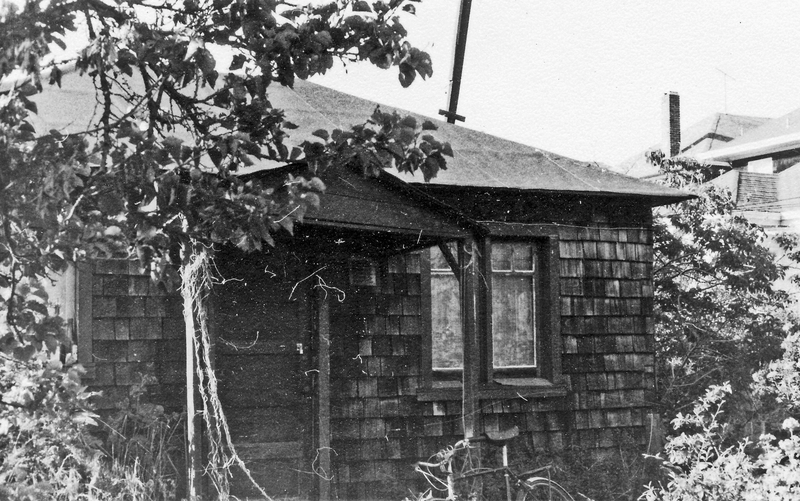 I now have five photos of the cottage, thanks to Dennis Starleaf, who rented the cottage a few years after Ginsberg. I have still not found a photo of what 1624 Milvia looked like then. This photo shows the two houses immediately north of his house. 1622 has been razed, but 1620 (on the right) stands. Standing where 1624 once stood is this. Ouch. 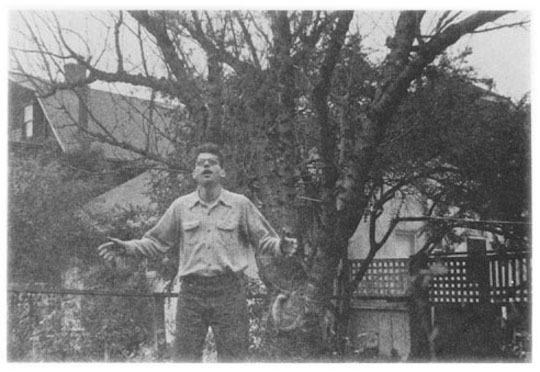 This photo is said to be Ginsberg in the backyard. 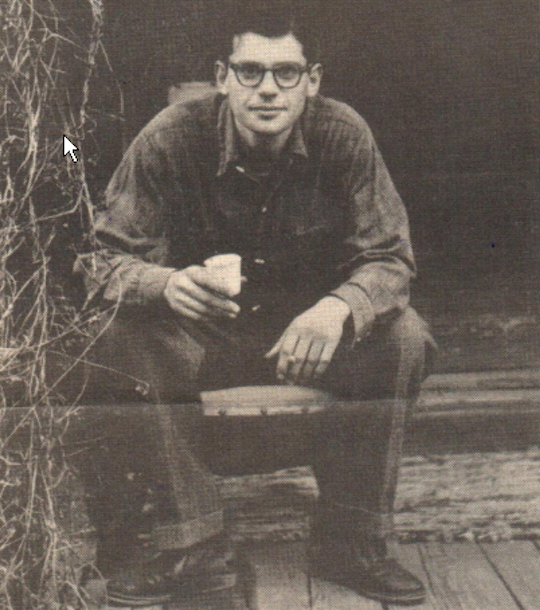 Here Ginsberg sits on the cottage porch steps. This is as close as I had gotten to the cottage. 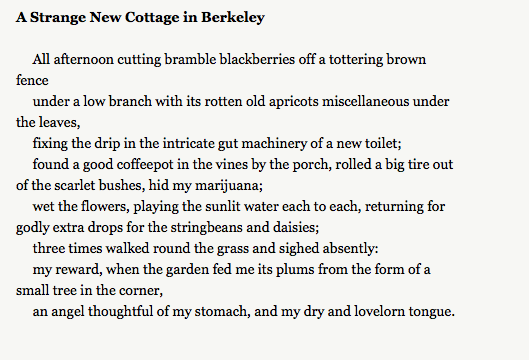 Ginsberg wrote “A Strange New Cottage in Berkeley” about the place, impressed more with “bramble blackberries” on the fence than the mint. The one fine old tree mentioned by Kerouac is possibly the tree “with its rotten old apricots” mentioned by Ginsberg. Listen to him read it here. Please. Really. Please. Ginsberg also started his poem “America” while in Berkeley. 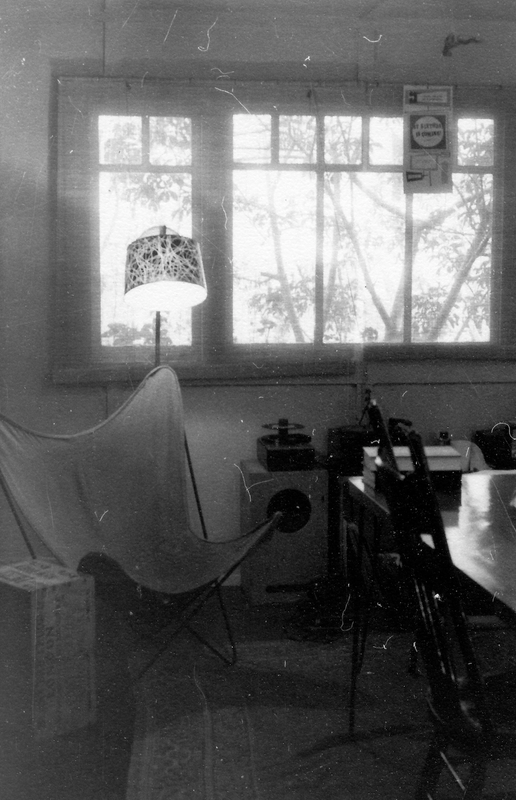 In it he writes of reading Time magazine in “the basement of the Berkeley Public Library.” He wrote “A Supermarket in California” on Milvia. 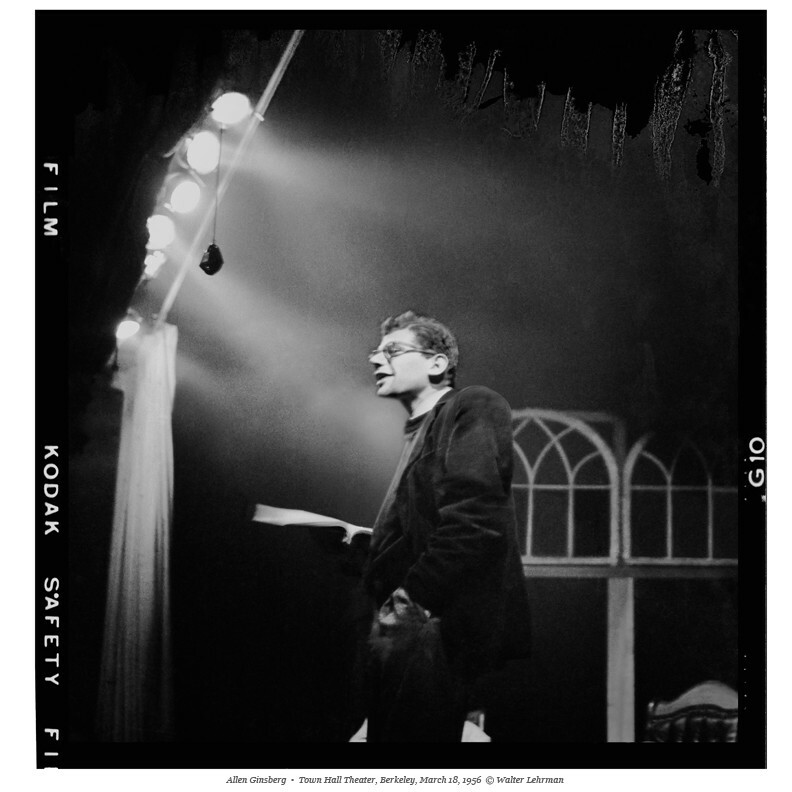 In 1956, Cal literature professor Thomas Parkinson organized a reading of “Howl” at the Town Hall Theater at 2787 Shattuck (now home to Sconehenge), five months of his first reading of the poem at the Six Gallery in San Francisco. For the first time, Ginsberg read all three parts of Howl. 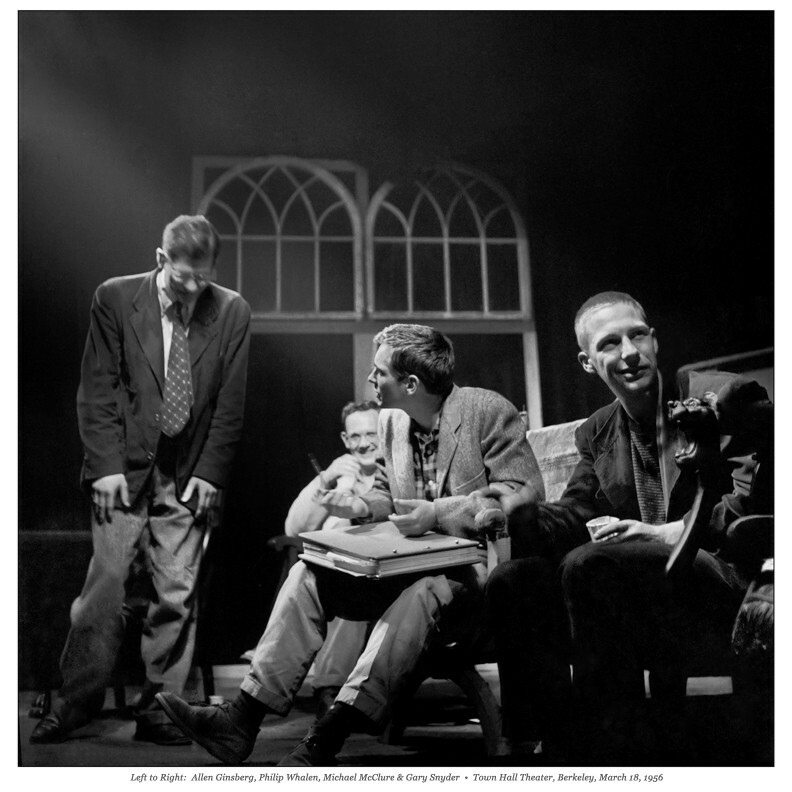 For the Six Gallery reading, Ginsberg had only finished Part I and only read Part I. In the intervening months, he finished the poem, working in his cottage on Milvia and at the Med. 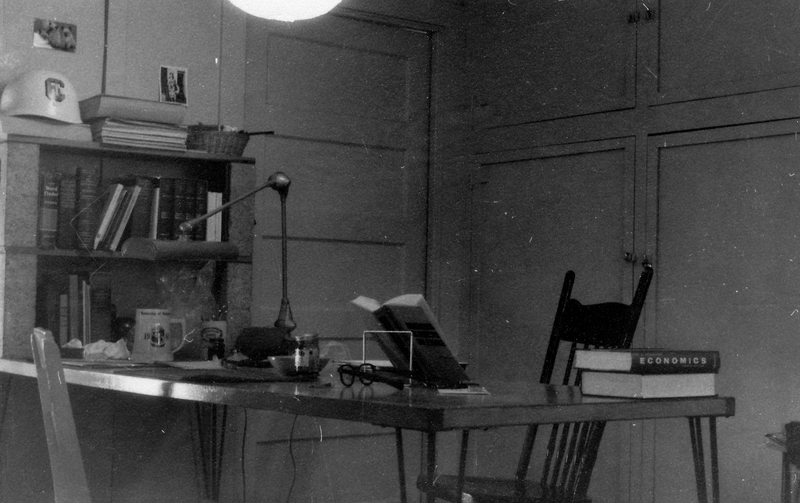 In “Howl” Ginsberg wrote of “… the door of my cottage in the Western night.” This is believed to have been the Milvia cottage. The first known recording of “Howl” is from that March 18th Berkeley reading. It may be found on his 1994 album Holy Soul Jelly Roll. 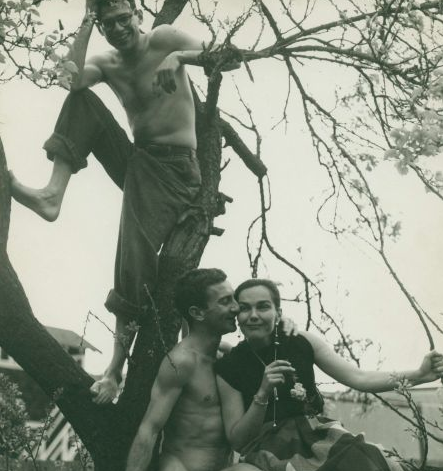 On the morning of the reading Ginsberg climbed a tree in his backyard on Milvia with painter Robert Lavigne and an unidentified woman. Almost all the furniture was in the cottage when I moved in and I left it there when I moved out. The canvas chair was there. The bed was just a matress on a piece of plywood and the plywood sat on wood blocks. The table was there as were the straight back wood chairs. The floor lamp was there. The bottom picture shows the desk/eating table. The door to the rear in this picture is the door to the bathroom – toilet, sink and bathtub with an overhead shower and shower curtain. I was a sophomore when I moved into the cottage and I was on the drill team of the army ROTC – hence the white helmet. I still have the lamp and most of the books that are in this picture. I don’t have a picture of the kitchen. It was small with a gas stove, a sink and a modest counter space. A refrigerator did not come with the place. I bought the refrigerator from the previous renter (the guy going off to medical school). And I sold it when I vacated the place. The rent was $25 or $35 a month, Starleaf isn’t sure. Starleaf married at the end of 1958 and moved to “a more suitable apartment” the following spring. 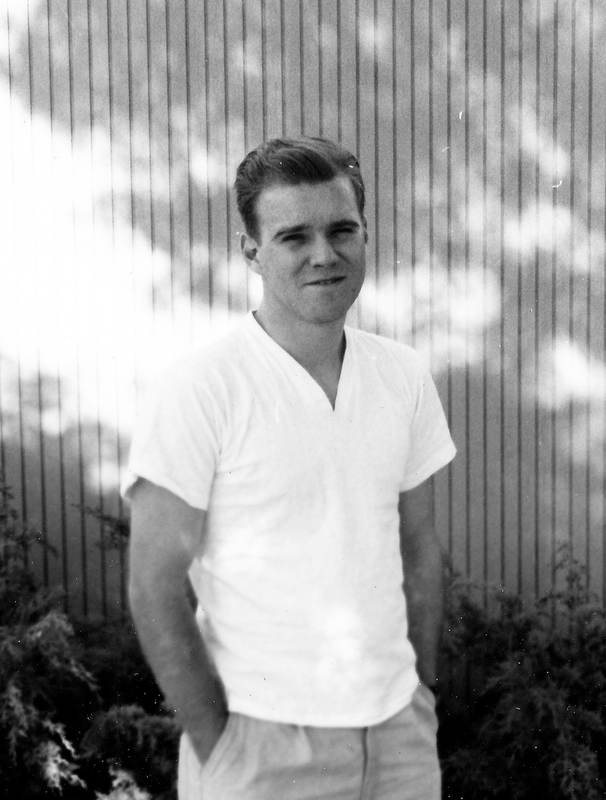 Starleaf graduated from Berkeley at the end of the summer of 1959. He earned an MA at UCLA in 1960 and then went to Vanderbilt University for his PhD. All of his degrees are in economics. 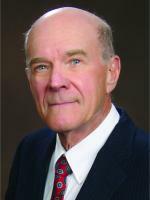 He was hired by Iowa State University in the fall of 1963 and retired at the end of the 1998. Macroeconomics and monetary economics are his areas of expertise. 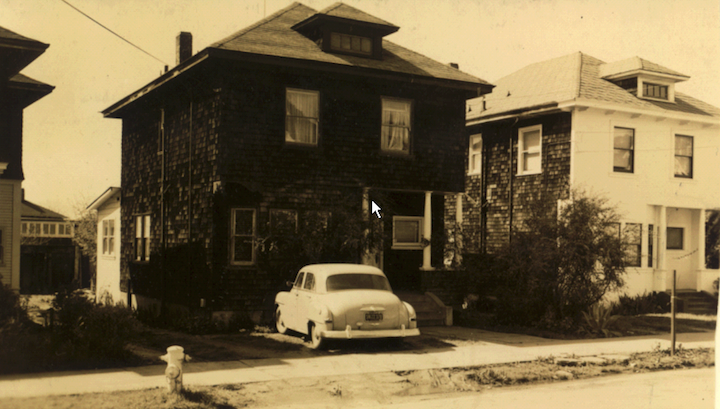 Yes, Berkeley was oh so different in the late 1950s. 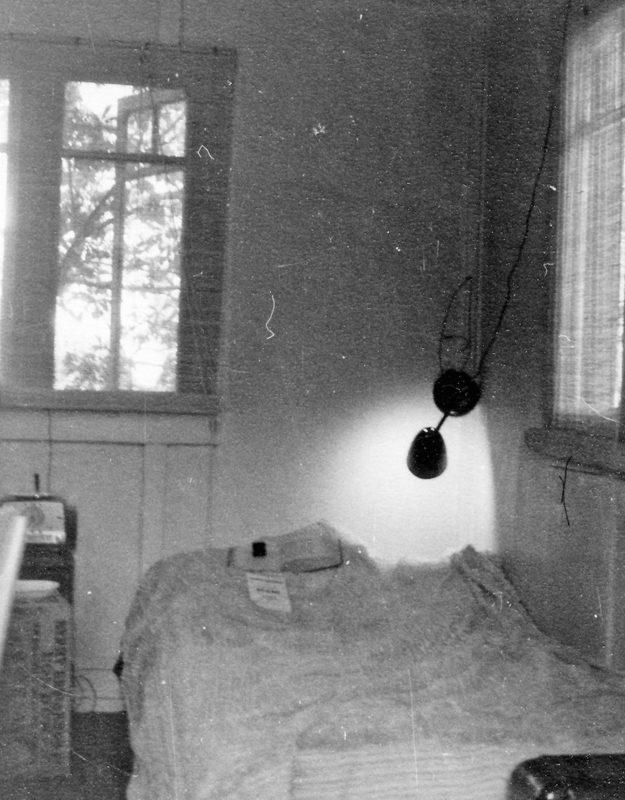 Thanks to Dennis Starleaf, we have a glimpse of that time and these five precious photos of Ginsberg’s rose-covered cottage. We have a past, a proud past. We have a character. 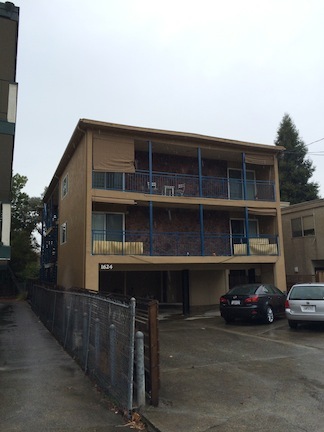 Berkeley grows and our character and personality evolve, but it is there. It included in the 1950s beat poets and young economics students, both living in a rose-covered cottage with blackberries in the yard. The fact that Quirky Berkeley reached Starleaf and prompted this brilliant addition to history (I know, I am geeking out about Ginsberg in Berkeley but I am NOT ALONE) stuns me. Who knew that this could happen? Oh yes, I know someone with a better grasp of how these things happen had to know it, but it surprises me, in a really happy surprise way. I showed my friend the post. I know that he likes to go and sit in the Poetry Garden on Milvia and think about Ginsberg and Kerouac and Burroughs and Snyder and the others. I wasn’t sure how he was going to take these new photos. He sat quietly looking at them. 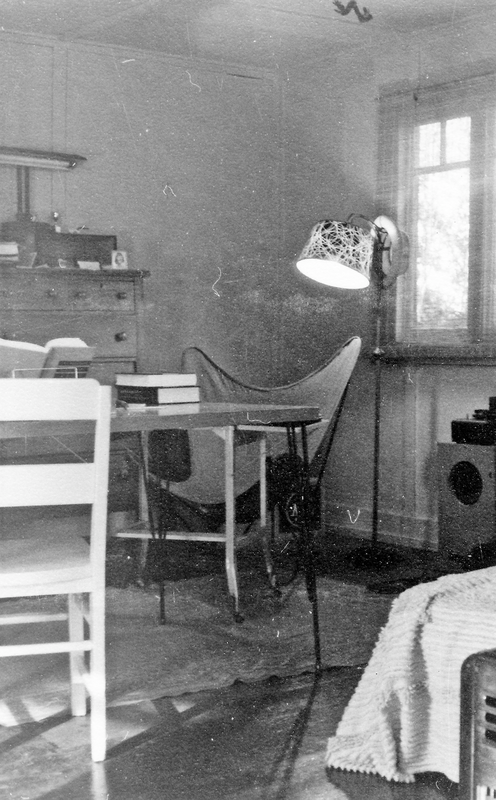 He made some notes on an index card – possibly about the furniture in the photos, perhaps as additions to his Danish modern-themed quarters. I get it! I geeked out when I found out Sconehenge was holy ground ( and recently attended that wonderful anniversary reading of Howl). I assume the cottage is gone but I will hop on my bike and visit the site now . Wow, I love imagining how Berkeley (and SF) looked and felt in the 50s. 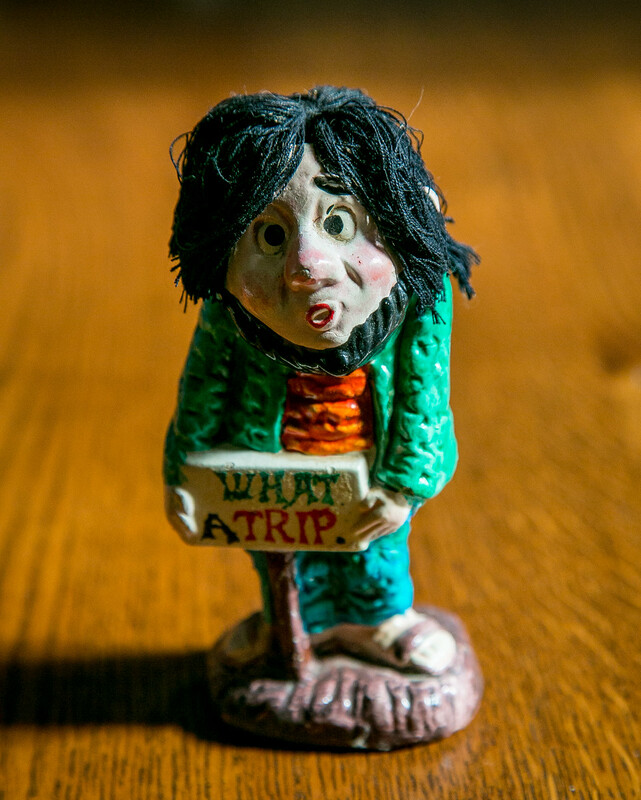 I read On the Road, Dharma Bums, and Ginsberg at Penn in the late 60s. Those guys sent my mind spinning over that “unbelievable huge bulge … to the West Coast,” and my body followed a few years later. Great post and pix! Are you aware of any pix of Allen with Tom and/or Ariel Parkinson? There is a great portrait painting Ariel did of a very young Allen in Ariel’s autobiography that she put out a few years ago. I grew up not far from Ariel’s parents summer property on Hood Canal in WAl. I always wondered if Allen ever made it up there. Lots of memories of Ariel there and some of Tom. I remember the big beard he had after he was shot.